I made lots of progress on my blanket in Feb. A rainy week towards the end of the Month and a sore back keeping me from moving about too much saw me parked on the couch working up hexagons at a cracking pace. The colours in this photo look a little dull as the photo was taken on a rainy day. Its at a stage now that I can drape it over my legs and get nice coverage as I work if I want to; coming into the cooler months this is exactly how I like it. I'm well ahead of one motif a day as I would have only needed to complete 58 to the end of Feb to have achieved this and at a few days into March I have 84. 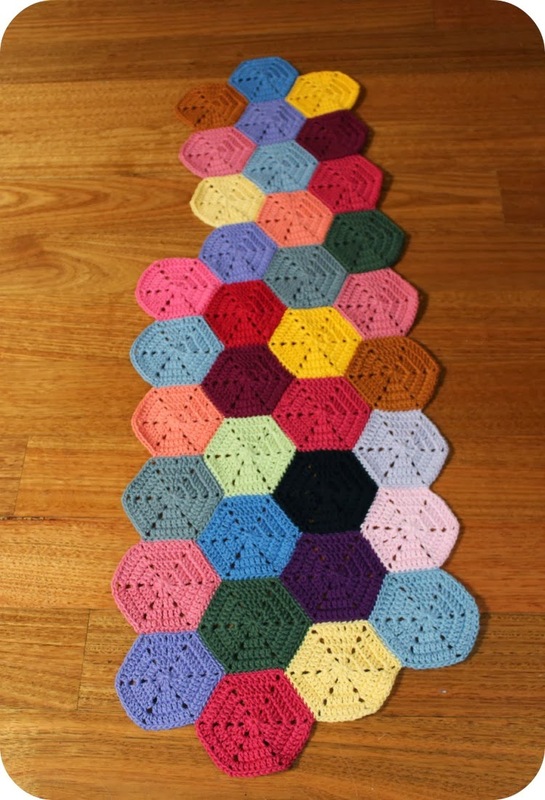 I have introduced some more colours at this point and am currently working in rows of 12, adding a new row on alternating sides of the existing piece and joining each hexagon as I go. Right now I am not loving the Black in it. 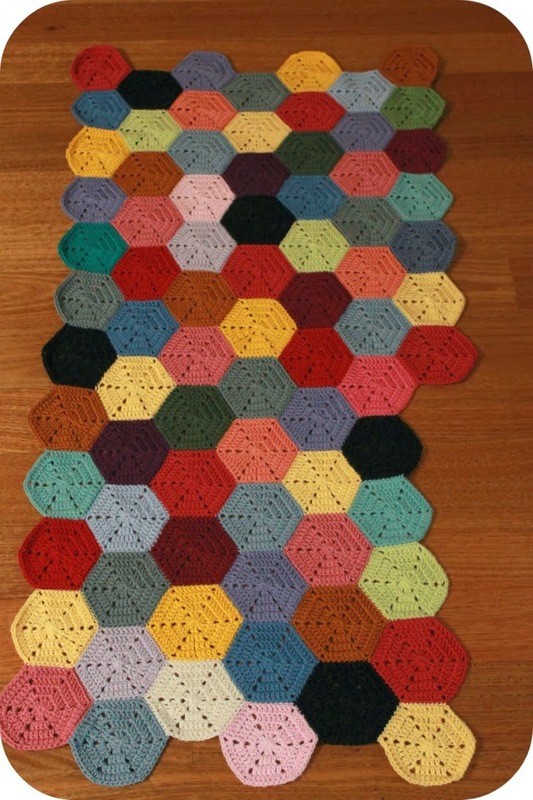 I aim for the completed blanket to be 18 x 18 hexagons, and if I did one a day it would be finished in December. The second picture shows what my progress was at the end of Jan you can find out what the mood blanket concept is in my summary post from last month. Tammy, it's coming along well. I hope your back is feeling a little better. They are quite easy and I do get into a nice rhythm making them and seeing the shape evolve.